Want to be in show business? 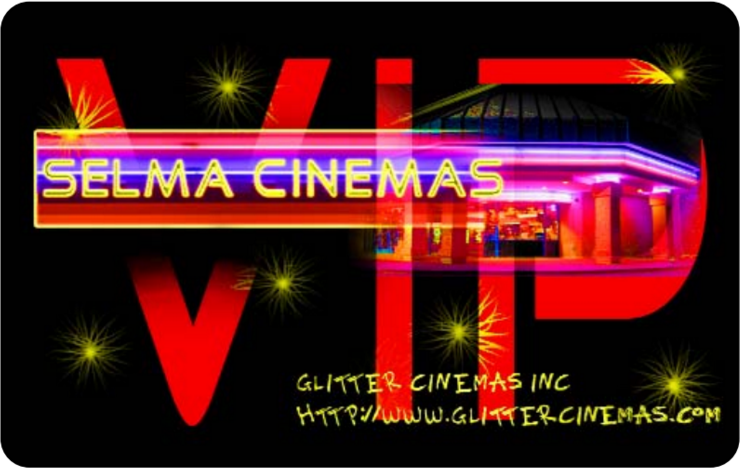 While we may not be on Hollywood Blvd, working at Glitter Cinemas puts you in the center of the action! We are always accepting applications for positions as floor employees, projection staff and management positions. Where else can you experience a piece of Hollywood on every shift? Add to that the great benefits you get from working at Glitter Cinemas - free movie privileges, flexible schedules, a fun work environment and advancement opportunity. We are always accepting applications for the following positions at our Selma 6 location in Selma, CA: *General Manager: This person will manage the day to day operation of the theatre and reports to the CEO of Glitter Cinemas, Inc.. Prior theatre management experience is required. Candidates should already be living in the Central Valley. *Shift Manager: This person will manage the theatre operation during their scheduled shifts, as well as perform a variety of management functions as directed by the General Manager. Prior management, theatre or projection experience is desired. *Floor Staff: Floor employees sell the tickets, sell concessions, take the tickets, and keep the facility up to Glitter Cinemas' high standards. Floor staff may find themselves working as Concessionist, Box Office Cashiers, or Ushers during their shifts. A friendly, customer oriented and quality minded attitude is a must in this position. If you are interested in a position, you can visit the theatre for an application, or to apply online!